The world premiere of Harry Potter and The Deathly Hallows - Part 2, will take place in London’s Trafalgar Square and Leicester Square on the 7th of July 2011. "Warner Bros. Pictures today announced that the world premiere of the final instalment of the Harry Potter film series, Harry Potter and The Deathly Hallows - Part 2, will take place in London’s Trafalgar Square and Leicester Square on the 7th of July 2011. "This will be the first red carpet film premiere event in Trafalgar Square, the instantly recognisable landmark providing the iconic backdrop for one of the biggest film premieres to ever take place in the capital. "The cast, filmmakers and guests attending the final Harry Potter premiere will begin the night on the red carpet in Trafalgar Square with the world’s media in attendance. Special areas will be reserved within the square for fans and competition winners from all over the world to see the actors and creators of some of the most beloved characters of all time. Cast and guests will then make their way to Leicester Square’s cinemas to watch the film. "The Mayor of London, Boris Johnson, said: "For the last decade we’ve been gripped by the on-screen battle between Harry Potter and his arch enemy Lord Voldemort and this is one of the most eagerly awaited films in history. As befits a great British triumph, I can think of no better venue than the iconic surroundings of Trafalgar Square in which to stage the most spectacular of send offs for this dramatic finale." 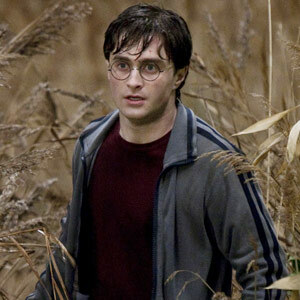 "Josh Berger, President and Managing Director of Warner Bros. Entertainment UK and Eire commented, "We are delighted that our plans for the finale of Harry Potter and the Deathly Hallows will take place in such a spectacular venue. We pride ourselves on the creativity of our premieres and the space within Trafalgar Square will lend itself to being a magical experience for both guests and fans." "Daniel Radcliffe, Rupert Grint and Emma Watson reprise their roles as Harry Potter, Ron Weasley and Hermione Granger. "The final part in the film series, Harry Potter and the Deathly Hallows - Part 2 is directed by David Yates, director of the last three films. The producers are David Heyman, the producer of all of the Harry Potter films; David Barron, who has produced six of the films; and J.K. Rowling. Steve Kloves adapted the screenplay, based on the novel by J.K. Rowling. Lionel Wigram is the executive producer, with John Trehy and Tim Lewis as co-producers. "Harry Potter and The Deathly Hallows - Part 2 opens in cinemas across the Philippines on July 15, 2011."